Hello all! Sorry I've been missing for a few days, I have had a busy week. 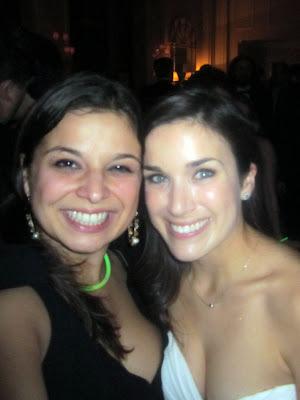 Or to put it more accurately, I am still recovering from a fabulous wedding weekend...it's sad that it takes me this long to recover from a fun weekend now! 28 is apparently geriatric age. Barbecue and Burlap anyone? 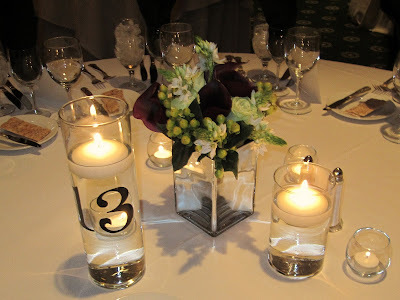 That was the vibe of the rehearsal dinner - and it was simple and gorgeous. 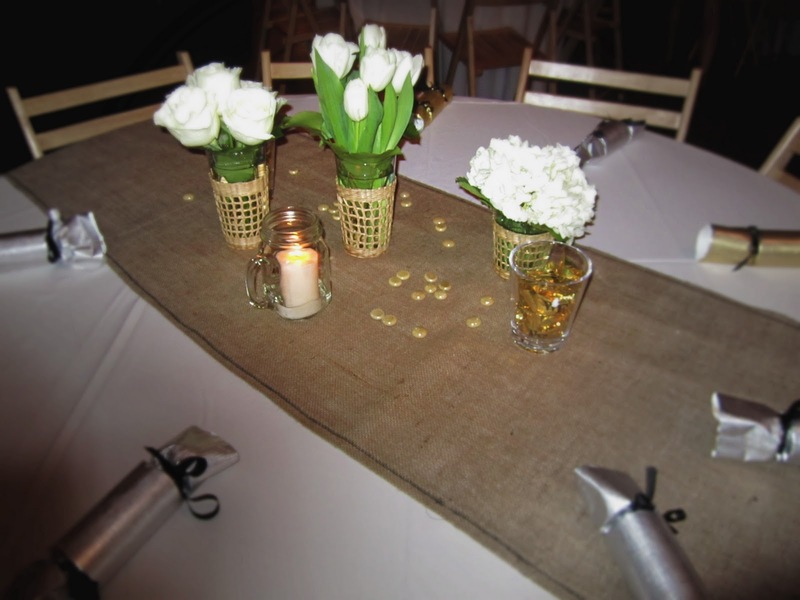 Quentin's mama got custom burlap runners made for the tables... 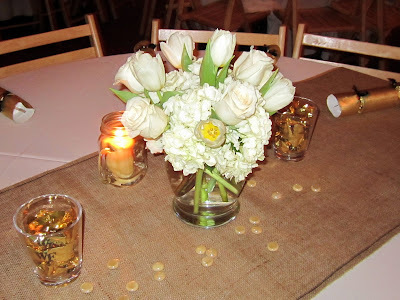 I love burlap and will be using it for linens for a large February event I am doing - stay tuned of course :) Don't let burlap fool you - it can be elegant and rustic at the same time, especially with gorgeous flowers and candlelight. 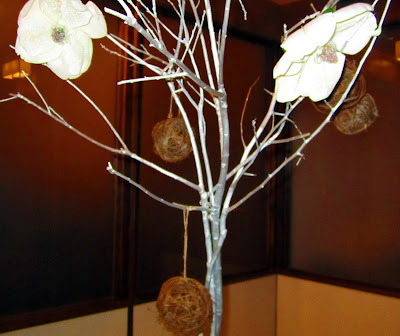 In accordance with the casual yet elegant theme, balls of twine and white paper flowers hung from white branches. I adore this look. 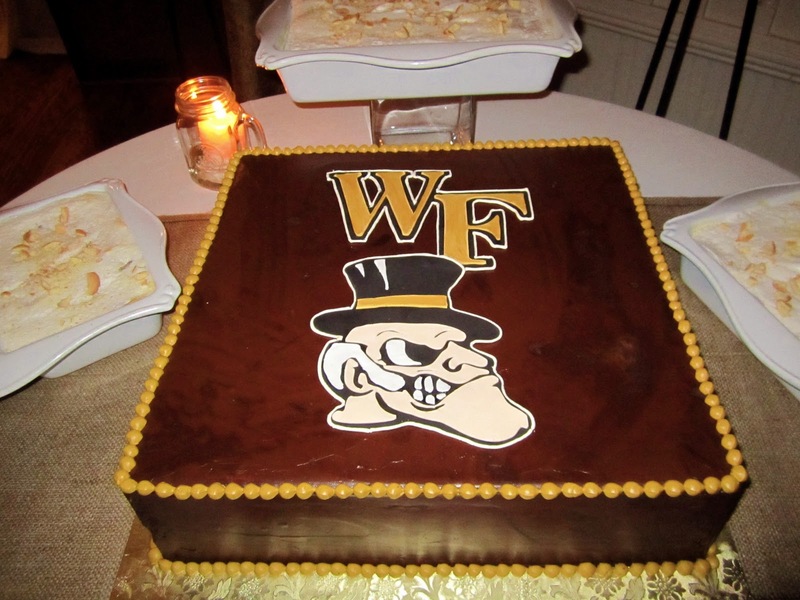 The bride and groom met at Wake Forest, so of course their school was represented at the dinner. Along with Quentin's mom's recipe for banana pudding - to die for... I was afraid to ask her for it because I am afraid I would make it two times a week. Now on to the wedding day...Where should I start? How about with the gorgeous. 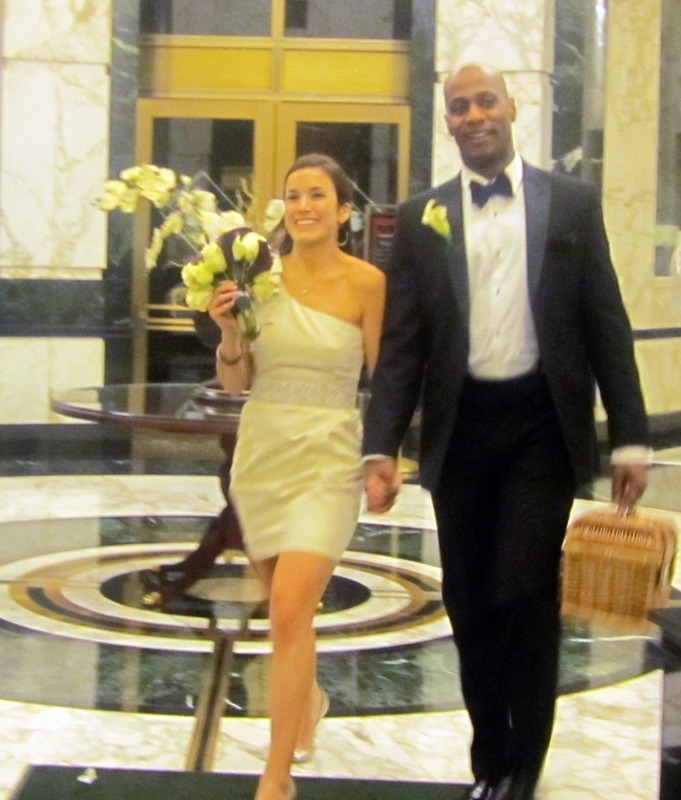 happy and stylish bride and groom - her dress was SO beautiful...wait till you see her after party dress! 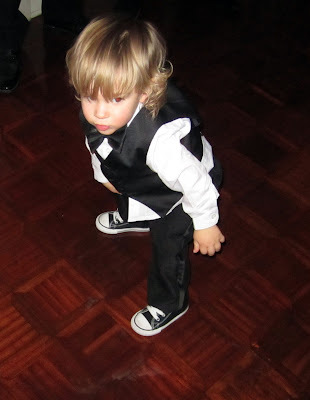 A cute ring bearer in Converse Chuck Taylors and a tuxedo is a must....and it's even better when it's your best friend Kalle's son Pearce...Pearce was a rock start that night, break dancing for the crowd and everything! Flowers were done by a good family friend, and they were gorgeous! The tables either had wreaths of carnations or different sized vases with candles and small bouquets. Check out the Table numbers put right on the glass vases...Courtesy of a "Pazzle" machine - available at the fabulous gift store BLIS in Charlotte...they can Pazzle anything you need and more! 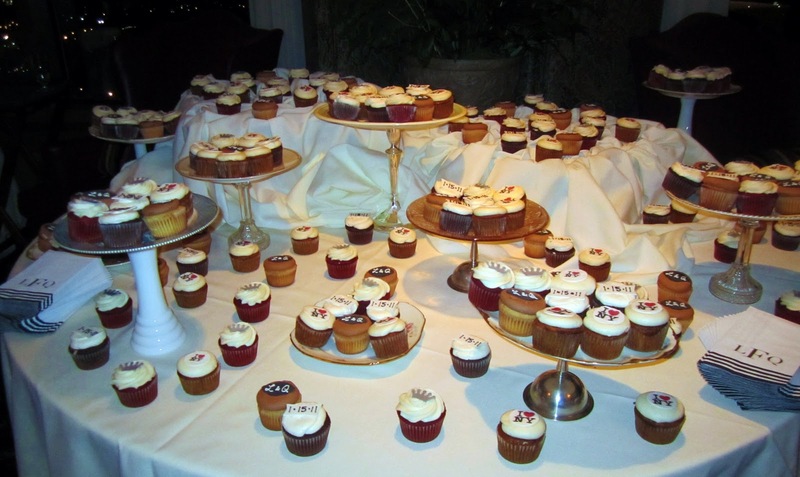 Check out these gorgeous and DELICIOUS cupcakes from For Goodness Cakes instead of a traditional wedding cake! 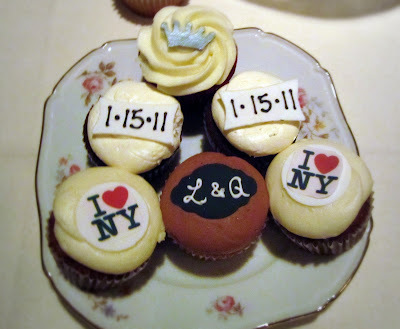 The NYC and Queen City logos represent the bride and groom quite well. 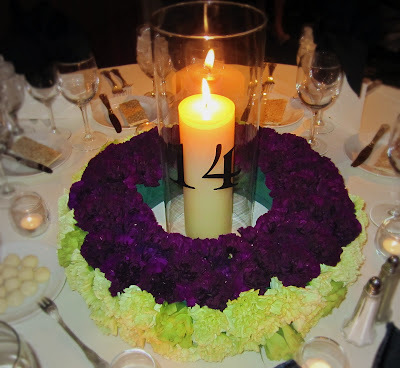 The bride's mom put together all the cake stands by super gluing different vintage plates to various candlesticks. This made fora beautiful, dramatic display. 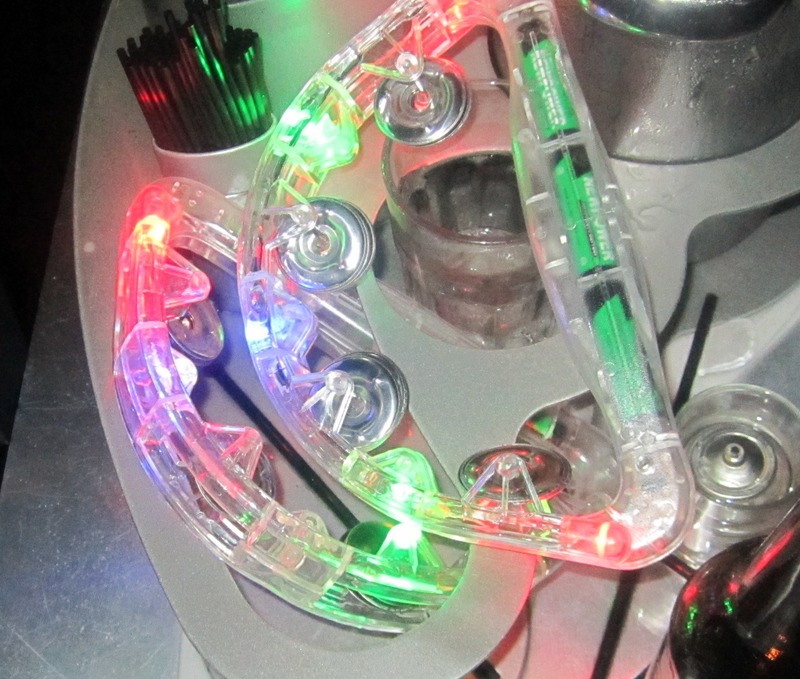 Or some flashing tambourines anyone? Yes, I'll take two home for future use, thank you. 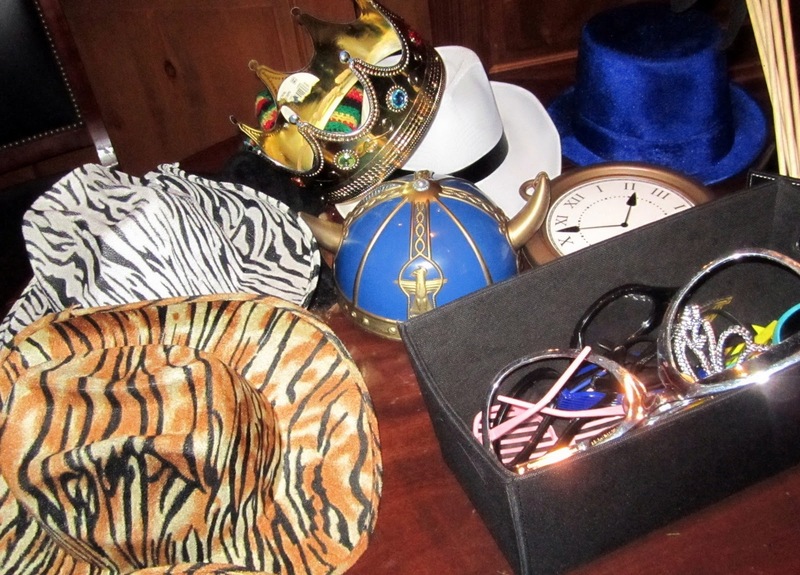 A photo booth with props was just icing on the cake...or cupcake I should say! And finally, the bride and groom make their exit - check out Leighton's fantastic, off-white party dress! She wore that to the after party - that's right, this suave couple had a venue change and we went to an after-party. No pictures though, my camera was tired...or had had too much wine, one or the other. 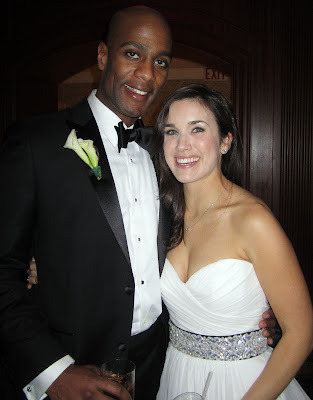 and thanks for a fantastic wedding! afternoon/evening, so check back for some great pictures! Looks like fun! i can't wait to see the luncheon! I heart burlap. what a gorgeous couple! your friend looks like jennifer connelly!